There’s a rising demand for US-grown tea. It’s one of the reasons we started carrying Hawaiian grown tea in recent years. But the US tea-growing industry is truly in its infancy, and faces a number of challenges, not the least of which is a climate that's not always conducive for tea growing (particularly on the mainland). 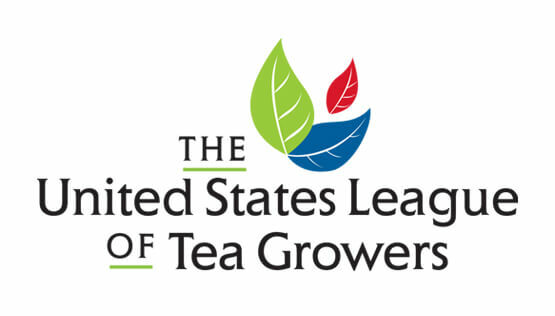 But there’s a group of individuals taking serious steps to meet these challenges, and last month Aubrey and I traveled to Texas and Mississippi to meet them – as part of the first annual US Tea Growers Round Up, put on by the US League of Tea Growers. First, in order to source the best organic teas around (regardless of origin) and provide the highest level of service to our customers, we're always looking to deepen our understanding of tea. The US Tea Growers Round Up offered a great opportunity to do this practically in our backyard (at least in the context of the tea-growing world!). Second, as we keep an eye toward increasing our selection of US-grown tea in the future, and supporting small farmers here at home, we figured this was a good group of folks to know. With these objectives in mind, and to shake off a bit of the cold from our long Michigan winter, we headed south. The first part of our trip was devoted to visiting the East Texas Tea Company, run by Josephie Dean Jackson, who operates a small tea farm in Mount Vernon, Texas. Like most of the growers across the continental US, it’ll probably be a few years before they reach substantial commercial production, but it was so exciting to see their young tea bushes planted in the fertile Texas soil. After a terrific lineup of presentations and a tour of Josephie's farm, we traveled southeast to Brookhaven, Mississippi, home of The Great Mississippi Tea Company, a nascent tea plantation with big plans for revolutionizing the way tea is grown in the US. With the help of famed "tea technologist" Nigel Melican, The Great Mississippi Tea Company has been exploring ways to adapt tea growing to the United States. A big part of this hinges on automating the labor-intensive process of harvesting tea, much like the Japanese have done. The idea is that this will improve the economic viability of the US tea industry, while also improving labor conditions within the industry. In addition to convening an official meeting of the US League of Tea Growers, Jason put on an outstanding lineup of presentations and on-site demonstrations that criss-crossed Mississippi and Louisiana. Without a doubt, we left knowing more about plant propagation, soil pH, and nursery practices than we did when we arrived! Despite our belief that organics must have a place amongst US-grown tea, most of the tea growers we met on this trip aren't growing organically (not yet, at least!). Still, we found the entire trip fascinating and highly educational, and left hopeful for the future of the US tea-growing industry - and Arbor Teas' role in it!